Downton Abbey...where do I begin? We watched Seasons 1-4 on Amazon Prime (they are free right now!) and now I'm begging John to buy Season 5 because I MUST KNOW ALL THE THINGS! ;) What really happened to Mr. Green? How is Edith going to pull off the baby/farmer thing? And which guy that will NEVER live up to Matthew (I'm still bitter haha) steal Mary's heart? So many questions. Any DA fans - is it worth buying or can I wait? And finally, I can't believe we've been blogging for almost a year! It's been a lot of fun connecting and meeting new people. I'm so glad we were asked to co-host the Tuesday Talk link up party every week...I've absolutely love it! :) Please join us, every Tuesday at 8am EST, with any blog post(s) you want! My sister loves that show, I need to check it out and Downton Abbey on Amazon Prime! That is amazing. Hope you enjoy your weekend! We're having a boy too! You can check out my blog for the reveal if you'd like. I'm also all about any advice on how to help his big (2 year old) sister adjust to his arrival in July. Stopping in from the link-up... I love your favorites this week! Good for you forgiving up sugar for lent, that would be so hard for me! I've been minding what I eat lately but I still have little treats here and there. Have a great weekend! DA...I was extremely disappointed by Season 4. Season 5 is proving to be a little bit better. You can watch it for free on pbs.com the next day after it airs. I'm just disappointed that my husband no longer watches it with me(he couldn't handle the drama-ha!) so now I have to text my friend to discuss all the happenings! Fair warning - it's super dramatic, and there are some WHAT?! moments...but overall, it's good. I love Maggie Smith and her character is so hilarious! It's been hard, but I'm glad I did it. I'm already sleeping better after not being in a sugar coma all day ;) Thanks for stopping by! Our oldest was 2 when my son was born...she really didn't have too hard of a time, but she LOVES babies. My friend got Abby a doctor kit as a big sister gift to check on her little brother, and it was a huge help/hit! :) And something that helped (that my mom suggested) was to involve her with things even though it'll take longer. She helped get diapers, pick out his outfits, bath time, etc. I take her with me to go shopping (Target or grocery store trips) while her brother and dad stay home...and we do random date nights with just her. I think just make sure they still get attention and special time :) Congrats on your little one and I hope the transition is easy for you!! 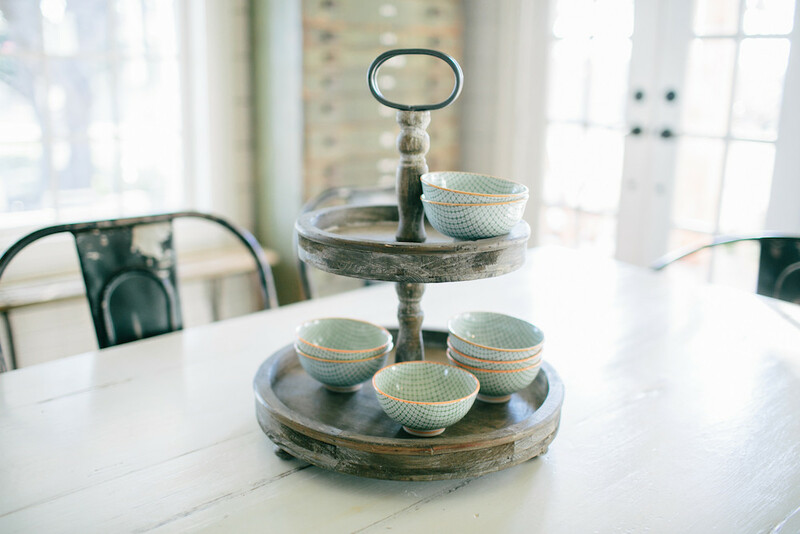 Fixer Upper and Downton Abbey are two of my favorite shows also! Chip is so funny, and I love Jo's design style. 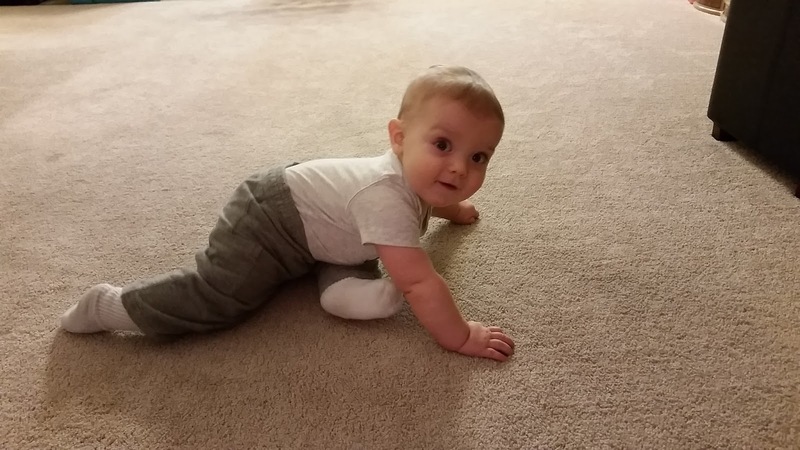 My son is 9 months and about ready to crawl too. We are thinking it will be any day now. Let the fun begin! Hi there thanks so much for stopping by my blog the other day! Oh my gosh, I LOVE Downton! And I am still totally bitter about Matthew too! Congrats on the new little nephew to be! Google eyes for the win! And fixer upper is such a great show...I live just about an hour from Waco, Tx so I always feel a connection. I actually met Chip & Joanna at an event they hosted in October and they are just as "real" in person as they Ppear on the show! #4 - we're in the same boat. Amazon Prime, and then... nothing. I think we got to see season 5 episode 1 on PBS or BBC (I forget which) and then that was it. Waiting for Prime. Or for the public library to get it on DVD. I don't think I've ever bought a DVD or book that wasn't a gift in my life - I'm that cheap. Wow, this is why I love blogging. If I wasn't, who knows how long it would have been until I found this information out on my own? Glad to see others have let you know about Season 5 all on PBS! Phew... I was basically yelling at my computer "PBS! PBS! PBS!" as I was reading your post! :) Love the googly eyes. Hilarious!! Hope y'all are having a great weekend! Congrats on your soon to be nephew! 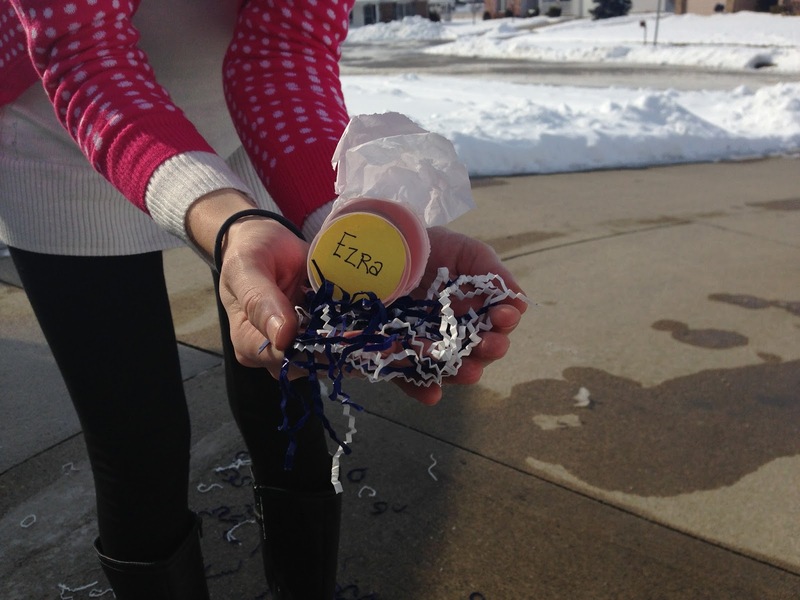 I love the gender reveal idea. I haven't heard of that one before but it's such a neat idea. I love the googly eyes! Such fun! Thanks for linking up to H54F! I LOVE Fixer Upper! In fact, watching it as I type this!! I love it! I love the rustic chic designs they have!!! LOVE! Thanks for linking up with Saturday Spotlight again!!! We can only do the fun crafts while Tim is sleeping for the same reason! I love babies, but not the fact they eat every little thing! It's the one HGTV show my husband will watch...mainly because the first episode he watched was when Chip ate a bug off the floor. Gag! Thanks for hosting on Saturday!! 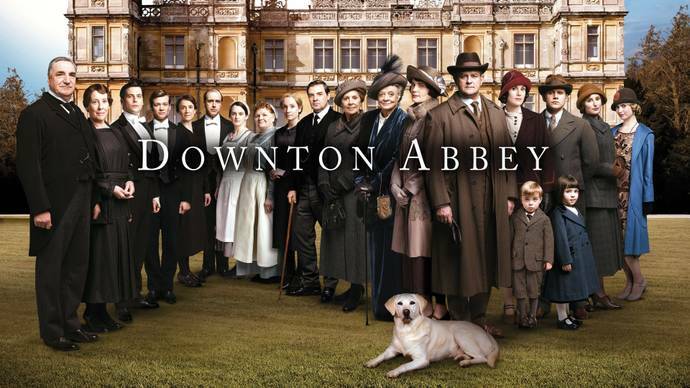 LOVE Downton Abbey, too! It is so hard waiting an entire year for the next season! This last one was so good!